and relaxing while exotic fish drift by. "Who was a awarded a lifetime supply of beer for winning the Nobel Prize in Physics?" and the tickets are yours! Please note, you must be over 21 to attend Night Life events. The Science of Brewing Night Life, July 25th from 6:00-10:00 pm. Delve into the art and science of brewing beer with talks and tastes from some of the Bay Area’s best. Taste your way through a beer hall featuring 21st Amendment Brewery, Almanac Beer Co., Anchor Brewing Company, Calicraft Brewing Company, Drake’s Brewing, Lagunitas Brewing Company, Mad River Brewing Company, Social Kitchen & Brewery, and others. Glean tips and inspiration during a home brewing talk by San Francisco Brewcraft; learn about the Bay Area’s craft brew scene from the San Francisco Brewers Guild; and see a yeast demonstration by GigaYeast. Jesse Friedman of Almanac Beer and Kim Sturdavant of Social Kitchen & Brewery will talk about the benefits of drinking locally produced beer and using local ingredients, in a presentation called “The Terrior of Beer." Plus, hear Mark Carpenter, head brewmaster at Anchor Brewing Company since 1971, walk through the company’s effervescent history. In the planetarium, explore the discoveries of brewer-astronomer Johannes Hevelius (1611-1687) at 6:30, followed by two showings of Earthquake. Tickets are $12 per person ($10 for Academy members); Additional details to be announced at www.calacademy.org/nightlife. 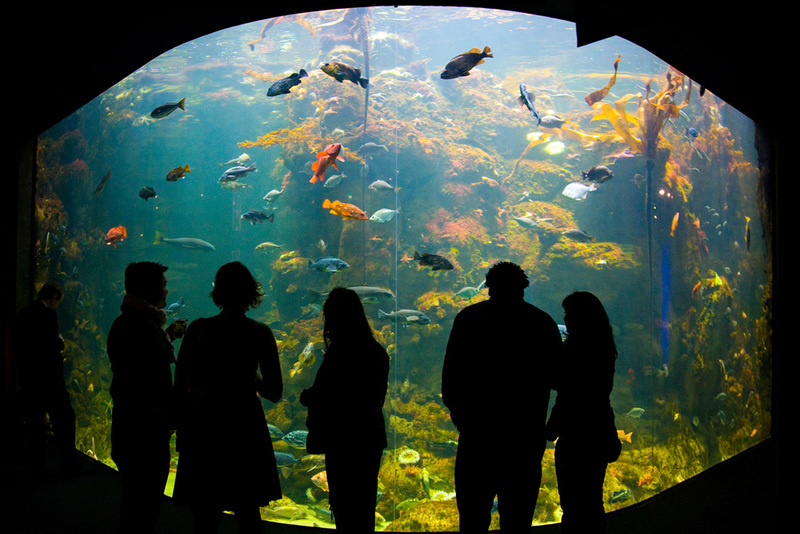 California Academy of Sciences, 55 Music Concourse Drive, San Francisco, CA 94118.